कलम की लाज क्या है ? Labels: Pen and its power. 5. Playing games of your choice - especially Base Ball. Disclaimer: I tried to find out the source for the pic to use in this blog post but none was there. Hence, regretted I could not cite the source. The language of the notice for cookies is so technical that a common man who maintains blog cannot understand what is expected from the blogger. I am in India not in Europe. What action should the blogger take? Use simple and direct language. No advocate like language or the notice need to be given to the advocate for reading and response. 1) Aggregate of moments represented in seconds. 2) Seconds when complete a circle on the dial of a watch or clock, becomes a minute. 3) 60 minutes are equal to 1 hr. 24 hrs make day and night and in toto called day. 4) 24 hrs spread over 365 days make a lunar year. 6) And life is total sum of years. Child says: I am 5 years old. Adolescent says: I am sweet sixteen. An adult says: I am forty+ and old man says: I am 80 as I have tasted 80 summers and springs in my life. 7) Every morning I am gifted by nature mostly referred as GOD with 86400 of jewels FREE of Cost. Nothing paid. It is totally FREE for every person on planet Earth. Be it a street urchin or KING or PRIME MINISTER. 9) What are the 86400 jewels? These are the seconds we get daily FREE of cost from nature like air, natural light or water. No thing paid but very vital for survival. Can billion dollars give 60 seconds breath to a dead person? No, never. 24 hrs. x 60 minutes x 60 seconds=? i.e.Free jewels. Use it and be BIG or misuse it and be miserable. Choice lies with you.Write a personal journal what you do daily with these jewels. Reflecting on your writings, after a week, month or year you will know the direction for short term goals and long term goals. This journal will tell you what you wish to achieve in life and what is the daily direction of your actions. DAILY ROUTINE IS KEY TO SUCCESS AND HAPPINESS. 10) Self-discipline with dedicated direction of thinking and doing leads to self- happiness.Self happy creates happiness every person s/he meets in life. Everybody loves to meet a smiling face. Smile is Free what it adds value to the wearer's personality. 11) In life, identified are two effects one PLACEBO(Positive) and other NOCEBO (Negative). For living successful, safe and happy life, a beautiful balance is to be struck by using information, awareness and judgment. 12) Similarly, Henry Ford, the great car builder says: In the world there are two attitudes: 1) Yes, I can. 2) No, I can't. Who give the first message to the mind, they are the real leaders while those who give the second message to mind are the followers because they have attitude of servitude. 13) Now to power of 60 seconds in practical life. 13.1While boarding a train , just wait outside on the station, you will find the corridor totally cleared. No rush. No pushes. This is practically experienced and learned. Every train stops at least 2-5 minutes on every small or big station. 13.1 When a person is on ventilator and struggling to survive, power of 60 seconds is realised. 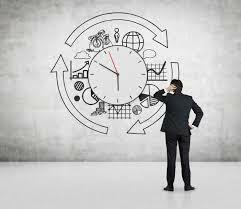 13.2 Reaching late for train or flight by 60 seconds of fraction of it can cost you to miss a vital meeting or job interview. 13.3 When heated moments of anger flash in the mind, keep lips closed for 60 seconds and the storm of angry bout will go away and an ugly situation or vital relationship can be saved. 13.4 60 seconds can save life. Haven't you heard a doctor saying: Could that you bring the patient a minute earlier, I would have saved her/him. 14) VALUE SECONDS AND LIFE WILL BE BETTER. DON'T SQUANDER THEM. Time once past cannot be recalled. 15) In life, mentally use placebo effect. ALL IS WELL. I am better than millions of people. Make mental list of "What you have" rather than "counting what you don't" .Attitude of gratitude boosts happiness in life. For example: You are going to meet a person and wrong information comes about that person through newspaper, tv news or mouth of a person, your judgment will change. Thisis NOCEBO effect. This more affects you rather than the person referred here. How? The information keeps on boiling in your mind. And when mind is filled with boiling information, you are losing your mental peace. 16) Same is with your food or eating. Before eating, if you hear or see or read something negative about your food, the food will never boost energy inside your body. It is not food that's bad, it is NOCEBO effect. People are toxic. May be for you, not for others. Learn to create Placebo effect for every NOCEBO affected person, place, work etc. You will be more happy,cooperative and powerful. "Cooperation means win-win, confrontation means lose-lose"-Zhu Feng. Longest distance in the world is 14" i.e.from heart to head. They are always at daggers drawn. What heart says, head does not approve and what head says heart does not accept and this mental keeps on lingering throughout life. If needs information, awareness and PLACEBO to keep both under control to live a pleasant life. 17.Value time, value special time, value leisure time and turn your mind from NOCEBO to PLACEBO. Read positive, think positive and you will switch from MIND FULL NESS to MIND FUL NESS. Clarity of thought comes with writing of thoughts not by keeping the thoughts in the head. Thoughts in the head create confusion by developing a perception that is far away from the reality or real word. Do write, do reflect and life will be happy and pleasant. Government of India gave promotion to an officer. The case went to the Supreme Court of India and the Apex Court opined struck down the promotion and opined: No data, no promotion.This small comment amply defines the "importance of writing the achievements, recommendations,actions, reactions, emotions, sentiments etc." Written documents make the destination easy to eachieve. 2.Listening leverages learning and life. 3 . Writing what is learned through listening and reading. It is the 3rd that most of the students and people fear to do. Because it can be read and commented by others. Comments are difficult to chew and digest. But without writing nothing is listened and read. 1. Who talk the talk. They can talk on every issue for not more than 1-5 minutes without any in-depth knowledge. They can argue a lot but cannot write a line. Their knowledge is like a bubble in the rain water. They are easily swayed by the arguments of others. They are generally followers and expose a lot through their vocal expressions to their little kingdom i.e. a society, a group, state or stage. Their reach is very short. 2. Who walk the talk: They are the educated, intelligent people who know the subject and considered authorities. They debate on TV or write in Newspapers,magazines or through internet. Their reach is like the water of ocean.For an example: This article can be read by millions of people throughout world for many many years. But if spoken words are used, it cannot be conveyed to a single person by wasting lots of mental energy. KNOW WHO YOU ARE. 2nd needs reading and writing passion. 1st needs nothing. Just listening others and seeing and twisting the information with own words and perception. When you speak something, let it pass through 3 gates. This small self-check will boost your personality and credibility. NOTE: By inserting picture , if somebody's copyright is violated, please inform immediately and it will be removed. 1. A king had three horses. 2. One day his dearest friend came to meet him. 3. Out of curiosity, the friend asked: For how much did you buy this horse? He said: "X" amount of money. 4. Friend further asked: For how much did you buy this 2nd one? He replied: 6 X. 5. Friend quizzed more : And for how much did you buy this 3rd horse? The king replied: 15 X. Really surprised, you paid 15 times more for the 3rd horse when compared with first horse. May I know the logic behind this deal." "Yes, of course you can, said the king." "Listen, I need to use hunter to make the first horse run. I had bought it for "X". I repent. It is waste of my money and time. More mental frustration than service it gives to me. I have to beat it virtually with hunter to make it run. It irritates me." " Now to 2nd horse. I just show it the hunter and it starts running and I ride it well." " The 3rd one is nicest its behaviour and service. When it sees me coming from the palace, it raises its tail giving me an indication as if saying: "I am ready to give you ride. Come and sit." As soon as I come and sit on it, it starts running." " So now I understand that value addition comes with ATTITUDE and responsibility." Friend learnt it. Every body should check himself or herself what kind of horse s/he is. It is self analysis. None other can do it.